Don’t let your event fall short of what you’ve envisioned. Work with a consistent and dependable partner for your next meeting, gala, tradeshow, or other corporate function. At Florida Event Decor, we believe working with a full service décor partner should be a hassle-free experience. We’ve been collaborating with event planners for the last decade as a full service décor vendor - from design and fabrication to delivery and set up. Our team creates atmospheres that engage every guest! We’ll discuss the details of your upcoming event so we have all the information we need to bring your vision to life! We’ll present you conceptual designs based on your needs and specific venue - taking the time to be sure it’s exactly what you envisioned. We handle every aspect of the design and decor so you can focus on keeping your program running smoothly. The top producers of the company were awarded with the title to a new car of their choice. The reveal of the cars tied into the companies push for sustainability and environmental stewardship. This unique design was integrated into the evening’s award program and revealed as the guests left the ballroom for the evening. 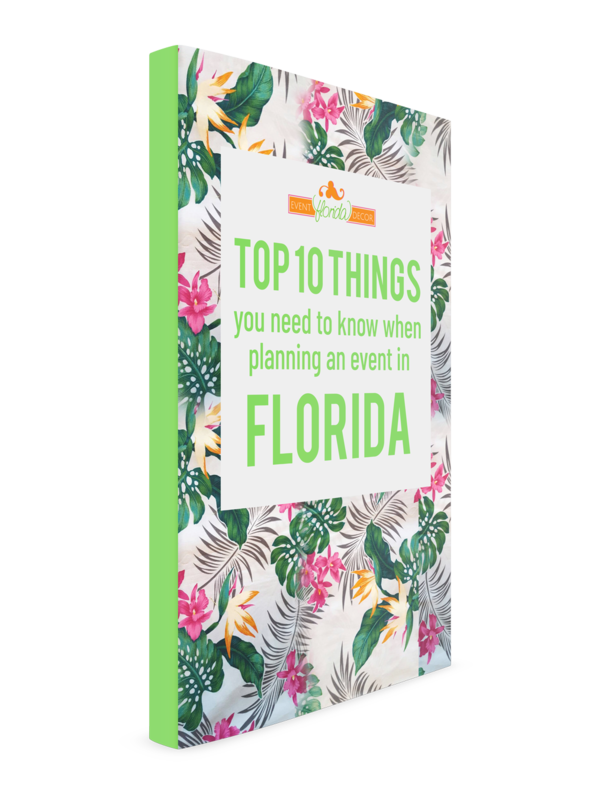 Download this FREE checklist to avoid the most common mistakes most event planners make when booking a Florida event. Instead of compromising your vision with unreliable decor companies that aren’t able to deliver on your vision. Partner with us to be your dependable vendor, providing consistently impressive designs for all your event needs. Top 10 things You need to know when planning an event in Florida.